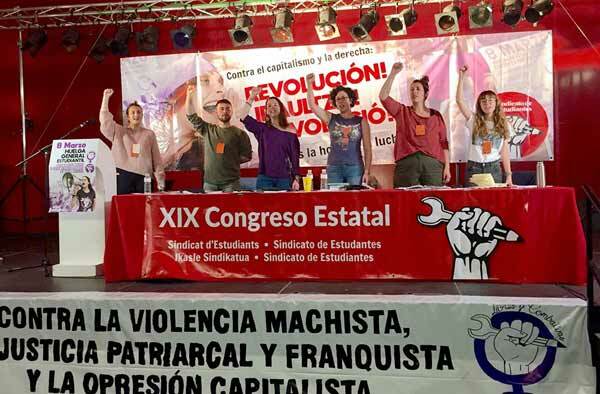 Report from the Socialist Alternative , the cwi in the USA, presented to the 2004 meeting of the International Executive Committee (IEC) of the cwi, held in Belgium 14 - 20 November. The work of our Democratic Socialist Movement has taken place against the background of significant changes in political consciousness produced by a rapid class polarisation. The Socialist Party is affiliated to the cwi which organises in 36 countries across the globe. Today, when just 500 giant multinationals dominate the globe - employing 46 million people and controlling 45% of world production - the need for a global struggle against capitalism is more pressing than ever. STANDING 48 candidates in 34 council wards on 10 June, the Socialist Party (standing as ‘Socialist Alternative’) received 16,787 votes. In addition, 2,825 people voted for Socialist Party Councillor Ian Page in the London Assembly election constituency of Greenwich and Lewisham. Linkse Socialistiche Partij(LSP)/Mouvement pour une Alternative Socialiste(MAS), the Belgian affiliate of the CWI, for the first time ever stood nationally in elections and won at least 19,841 votes. Victory for Socialist Party in local elections!